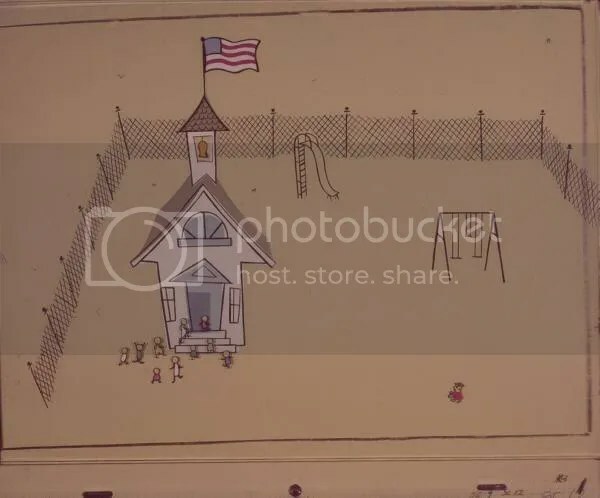 I know I’ve posted this several times before, but it’s a great cartoon and has inspired me after I watched it at the MIAF on Saturday night. Tonight I went to the first session of the UPA retrospective at the Melbourne International Animation Festival at the ACMI cinemas. It was a great night with lots of great cartoons. It was good to see such an enthusiastic audience too. 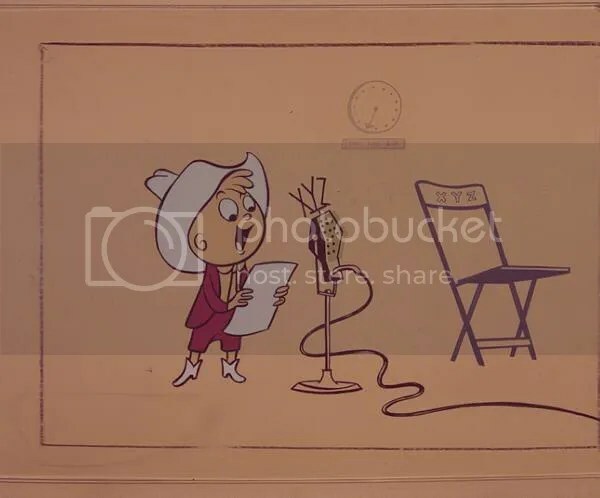 It was the first time I have been to see animated shorts on the big screen, and it was good to see people still laugh at these things, although most of the audience seemed to be made up of animation students. Guest of honour was Tee Bosustow, son of UPA founder Stephen Bosustow. 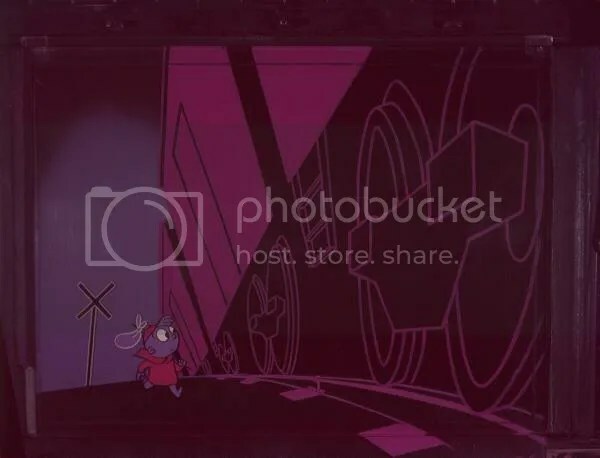 He spoke enthusiastically about the studio and let slip that Sony are finally releasing a dvd box set of the UPA shorts. 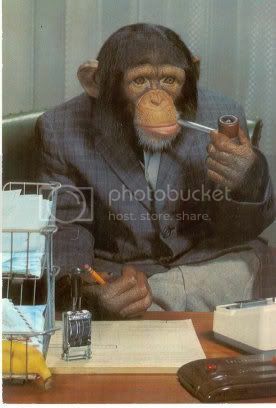 Actually he said that Sony had outsourced this to two other companies and they will be releasing the DVD. 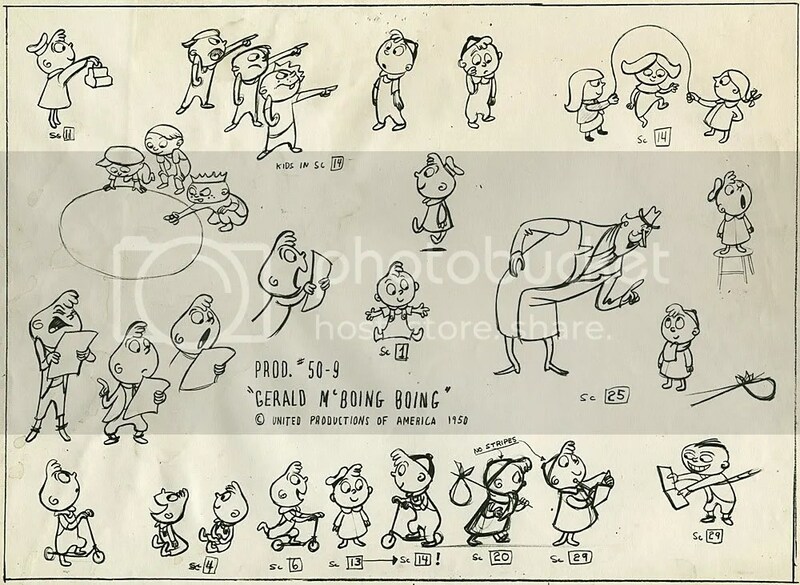 If this is true, and I don’t doubt Tee’s word, this is great for classic animation fans. A UPA set has been a long time coming, and I thikn both John Canemaker and Jerry Beck have in the past tried to persuade Sony to release these cartoons, but failed. If I recollect correctly there was some rights issue with Classic Media owning the Mr Magoo character, despite the Magoo theatrical shorts being owned by Sony. 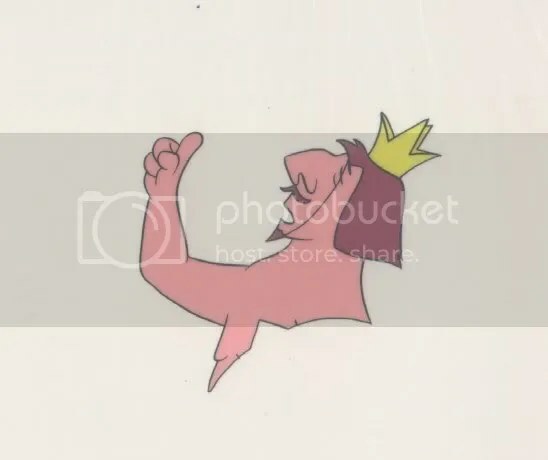 I vaguely remember seeing The Emperor’s New Clothes on TV when I was a kid. 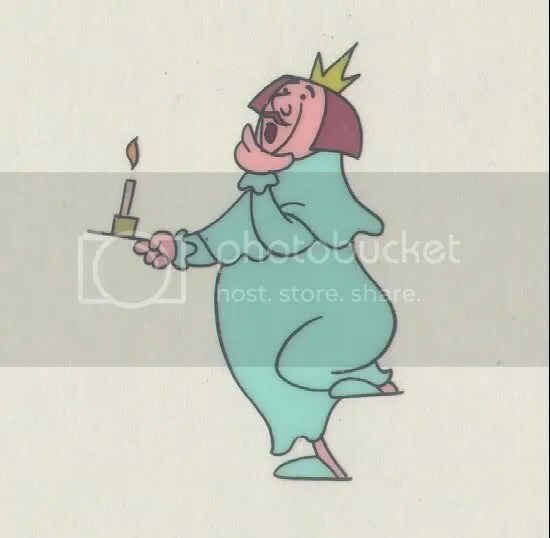 I tried to search for this cartoon on Youtube and Daily Motion but could not find it. 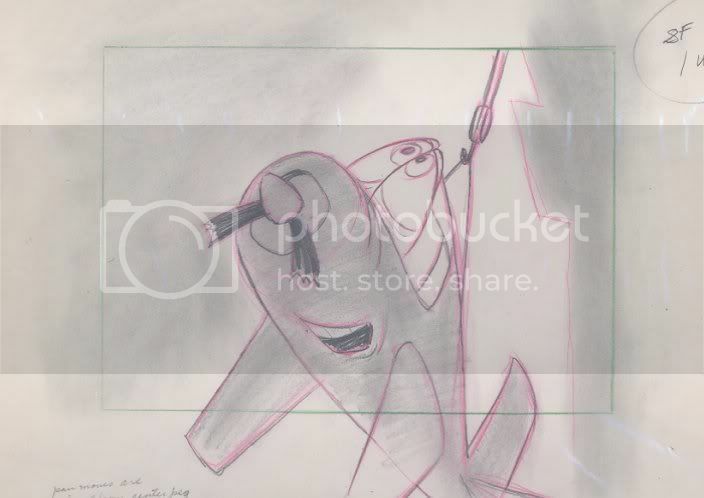 Here are some animation cels available from Van Eaton Galleries. 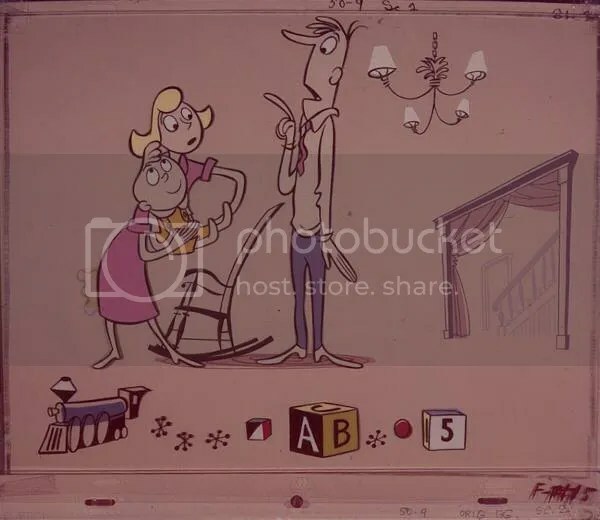 Van Eaton Galleries has a production cel available for sale for Trouble Indemnity, a Mr Magoo cartoon from UPA. 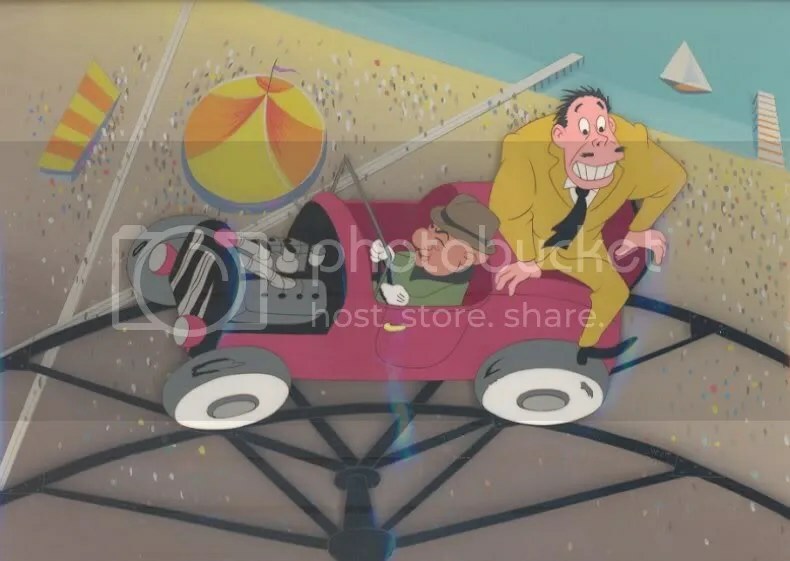 If you wish to purchase this cel they are selling it for US $1500. 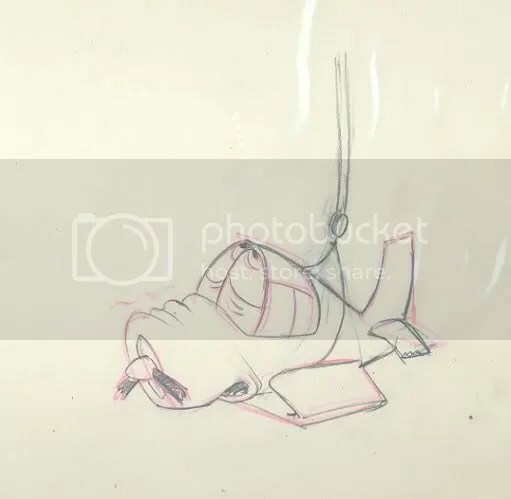 Surfing the internet I found some UPA animation art that is up for sale. 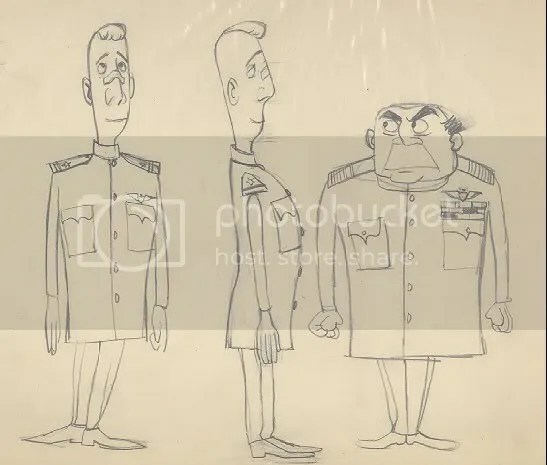 The site had these concept drawings but they could not confirm what cartoon they came from except to say that they are from a WWII era industrial short. 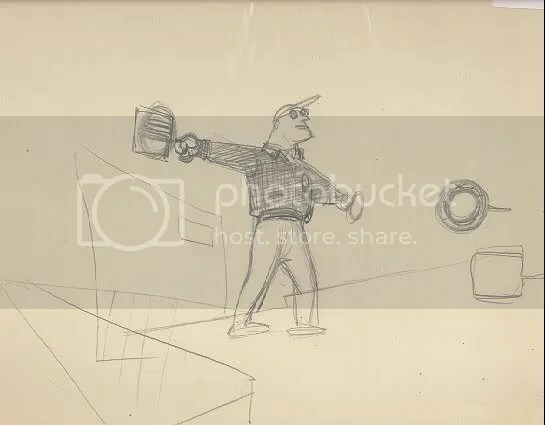 My personal thoughts just by looking at the drawings is that they could be from John Hubley‘s Flat Hatting, which is a training film that was used by the US Navy. 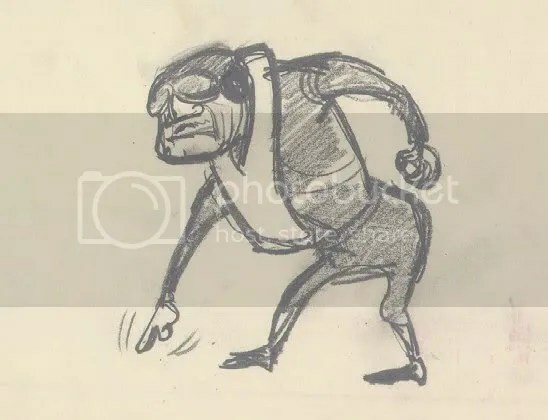 The films aim was to teach navy pilots about flying safety and that they should not buzz the people on the ground by flying too low or what is known as flat hatting in military speak. Of course this is just an educated guess on my behalf, as I have never seen Flat Hatting. 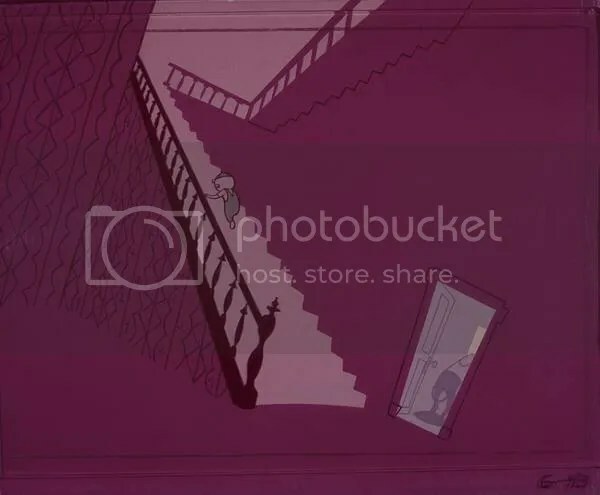 Amid Amidi posted Flat Hatting last year on Cartoon Brew TV, but it has since been removed. UPA made numerous training films for the military during the war, as did all the other cartoon studios. These drawings are up for sale on the Van Eaton Galleries website, with prices ranging from US $25 – $100, which is pretty reasonable.